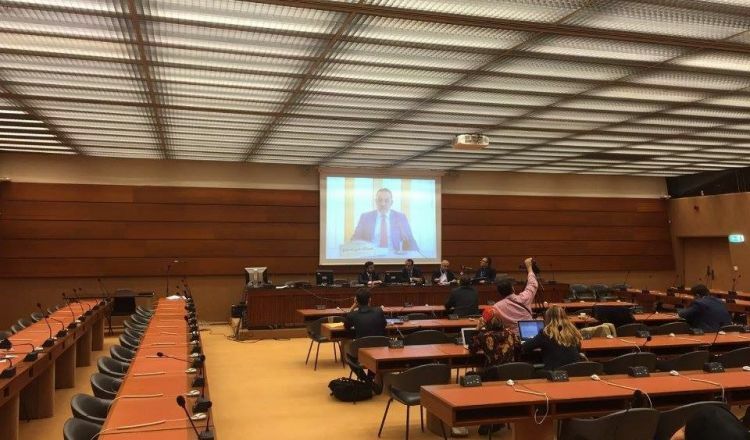 For the 33rd session of the Human Rights Council in Geneva, Switzerland, on the 21st of September 2016, the Journalist Support Committee has organized a seminar entitled “Yemeni media under attack”. The seminar addressed the Saudi-led coalition's aggression on the Yemeni media since the beginning of the war on Yemen, in 2015, the number of journalist casualties and destruction of media institutions. The Journalist Support Committee also displayed the work of the committee and al-masirah channel and its activities. In addition, screening of a video that shows the Saudi-led Coalition's aggression on Yemeni media. The event was attended by representatives from the human rights council and European embassies.